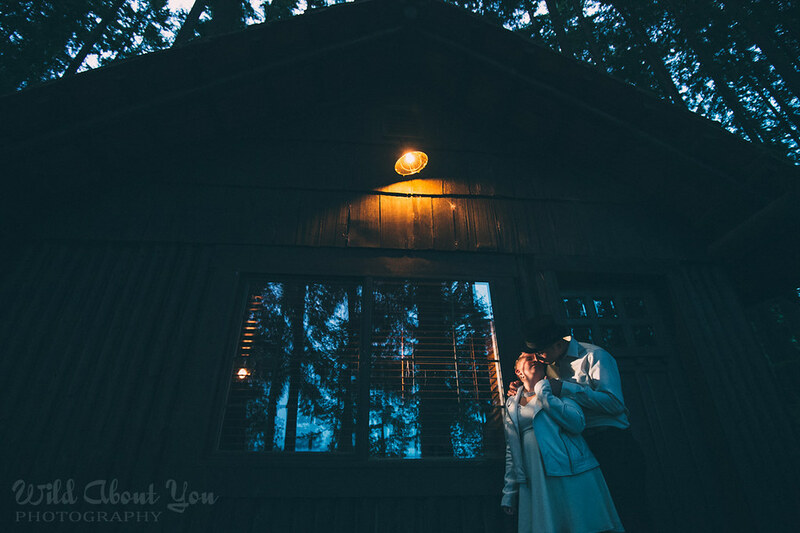 You might recall Erin Sara and Lucian’s epic vampire-slaying engagement adventure earlier this year. 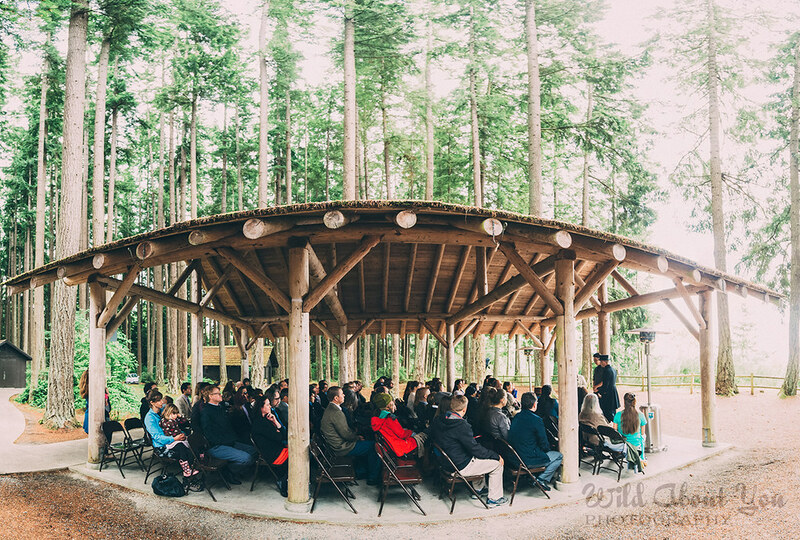 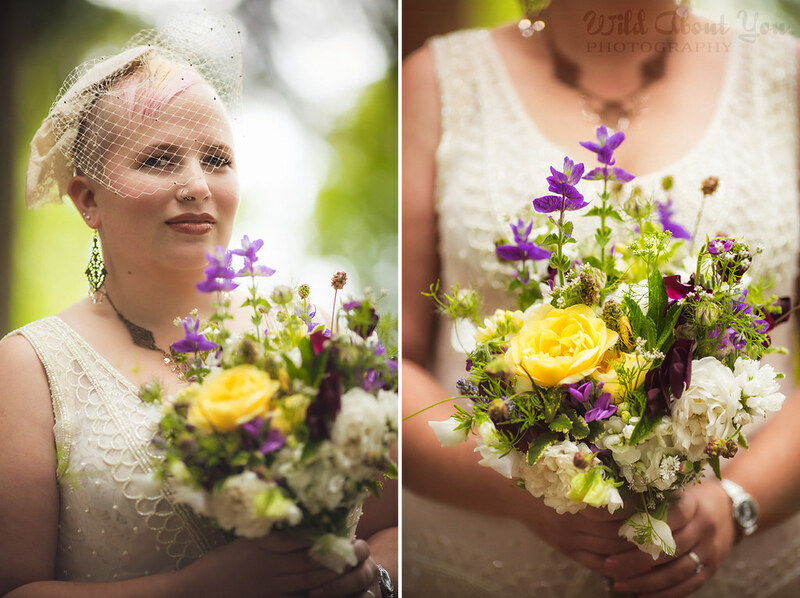 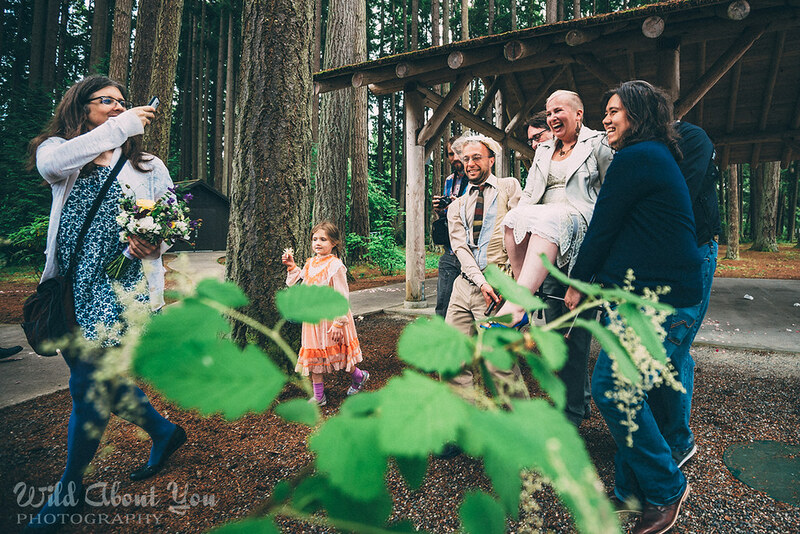 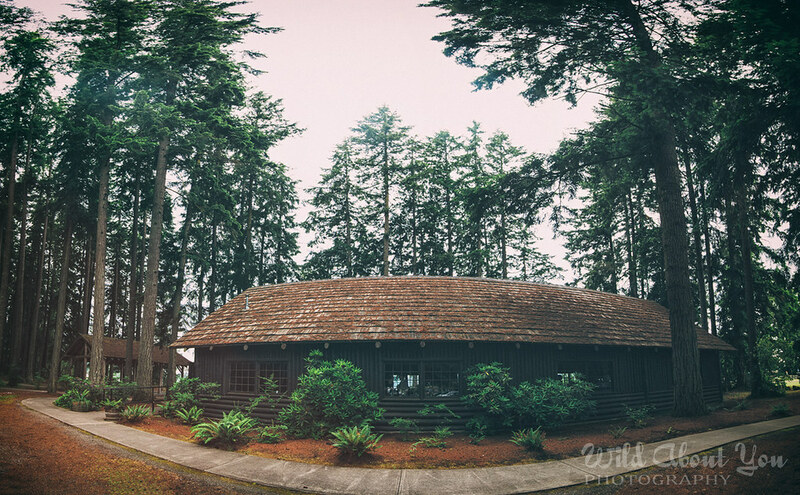 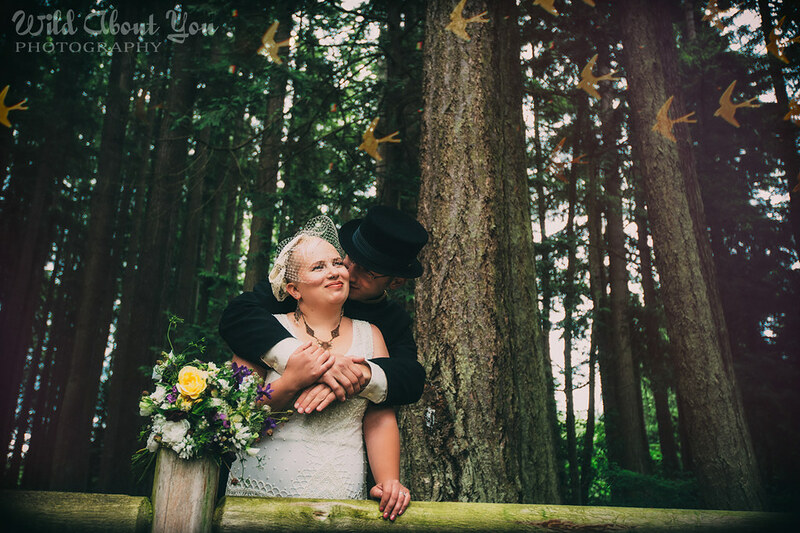 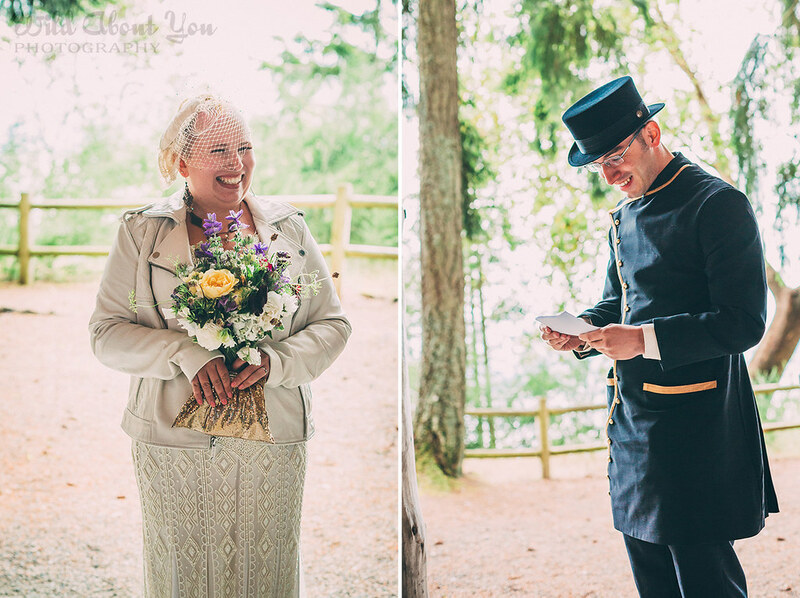 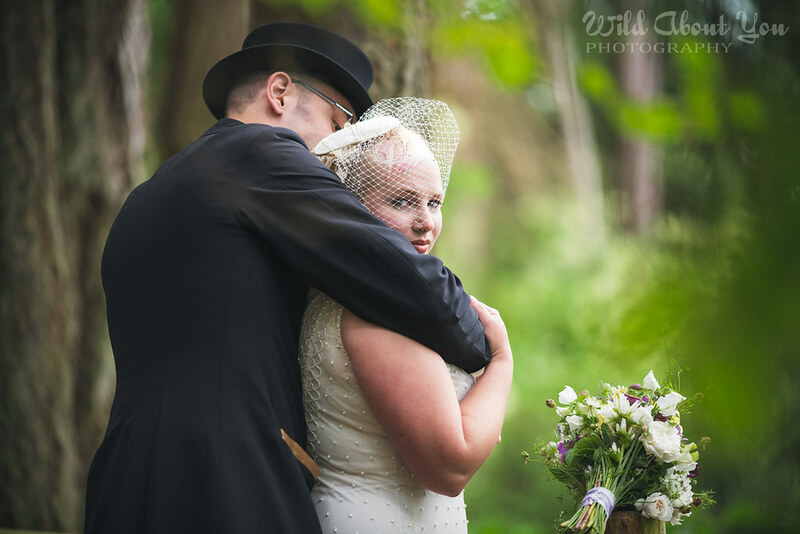 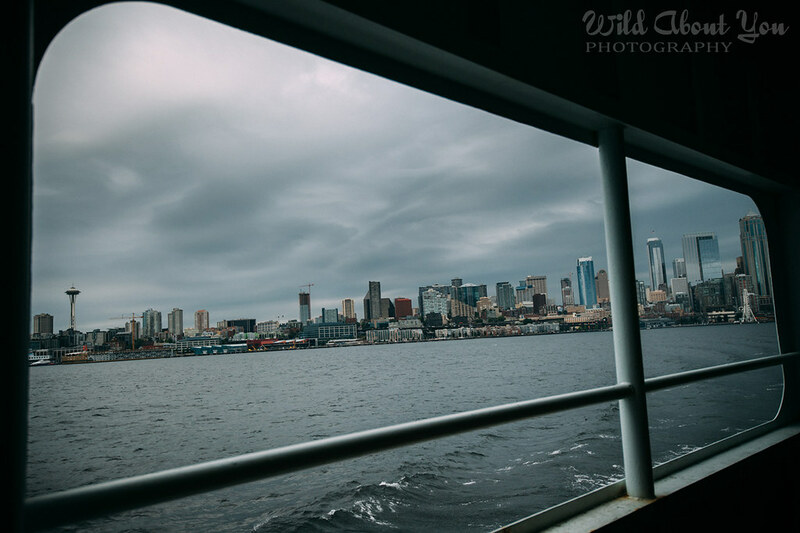 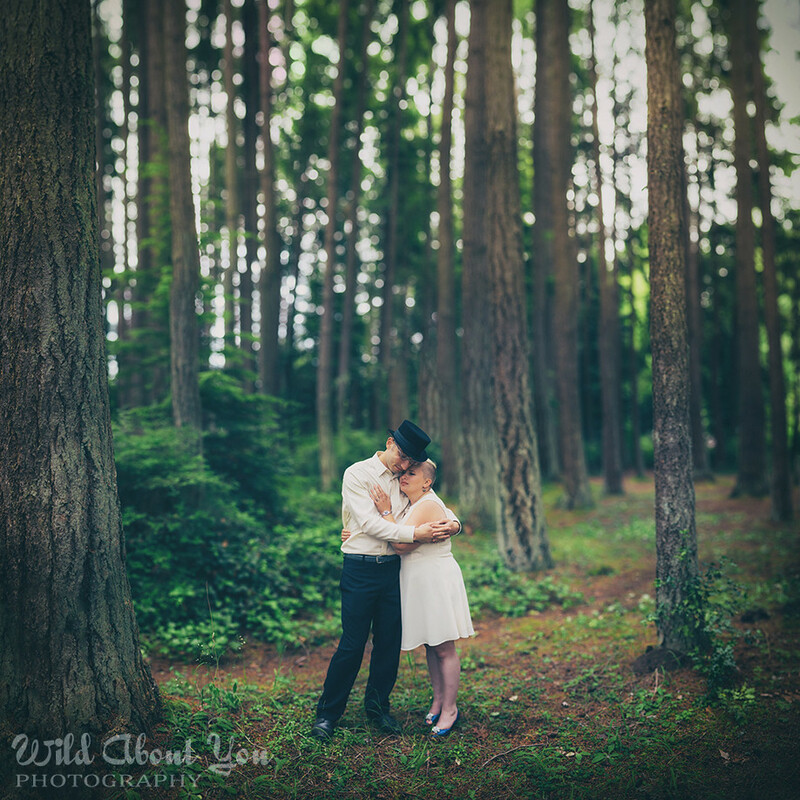 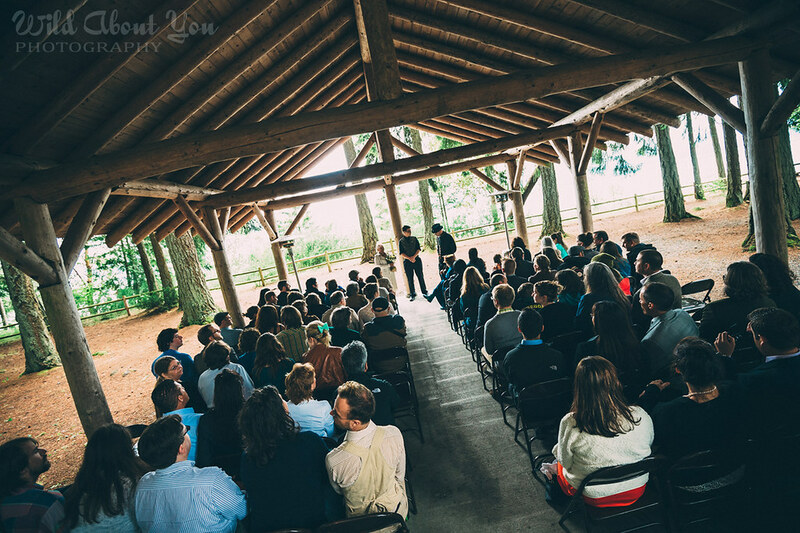 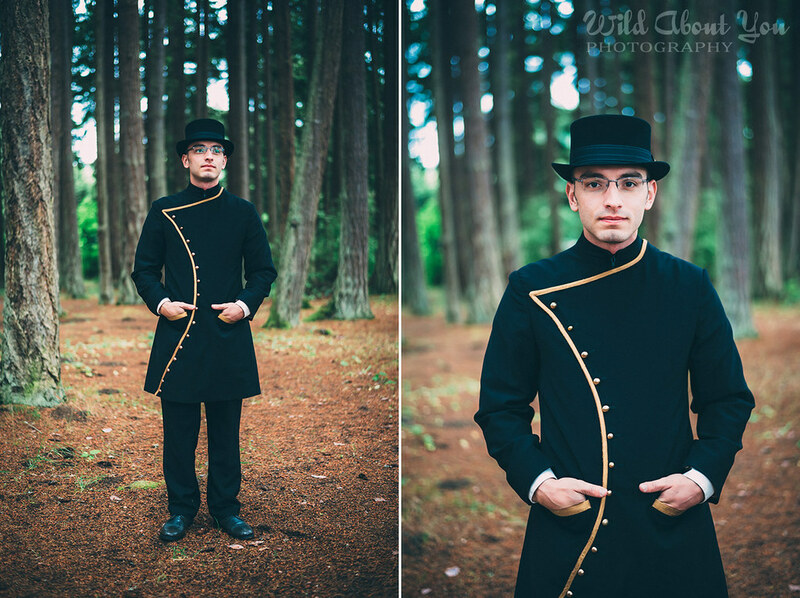 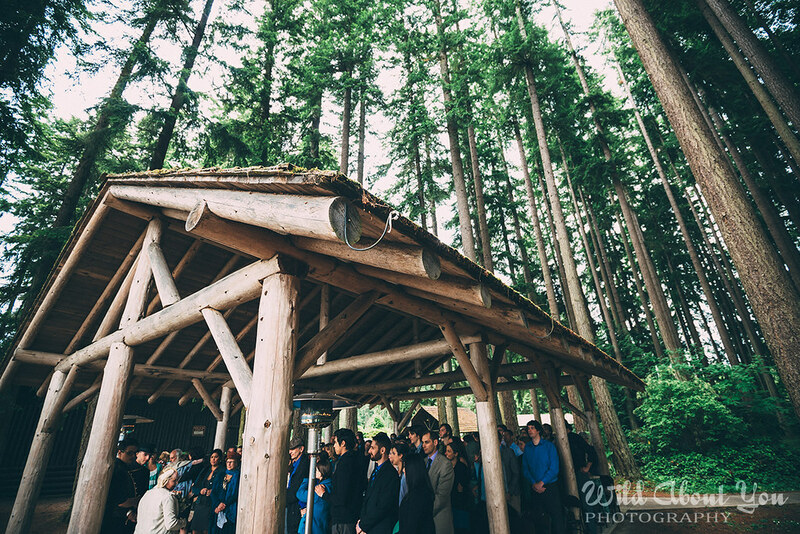 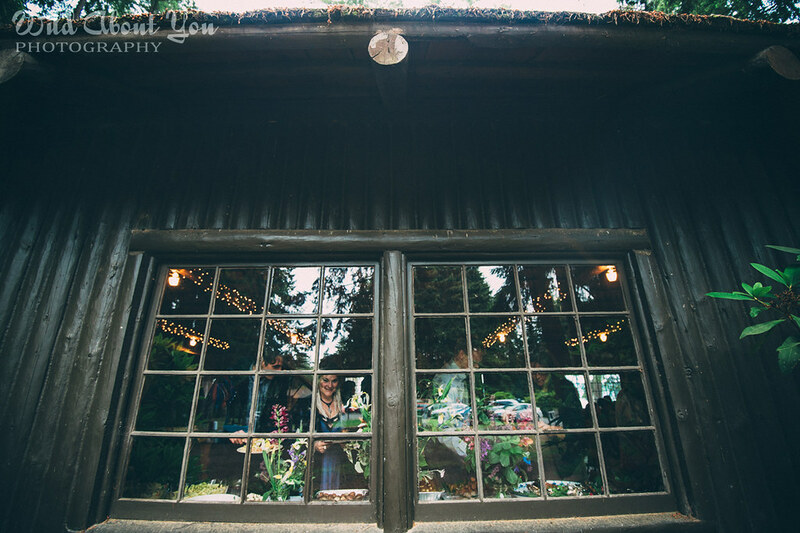 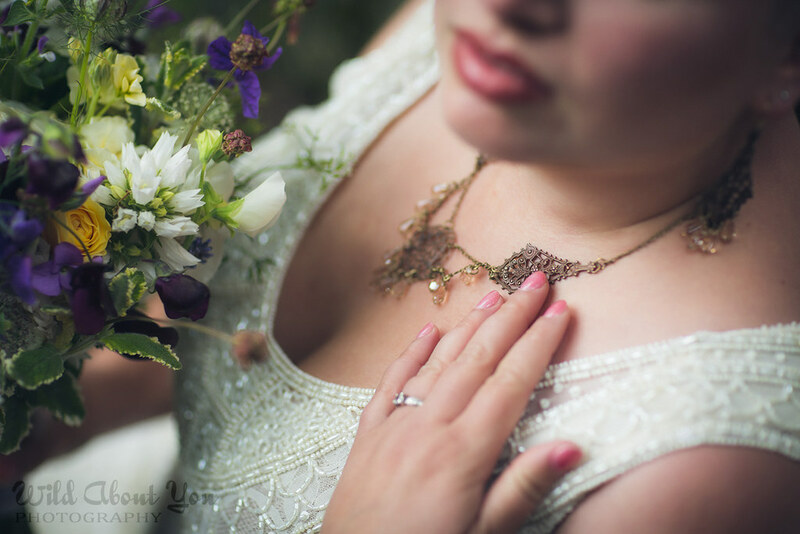 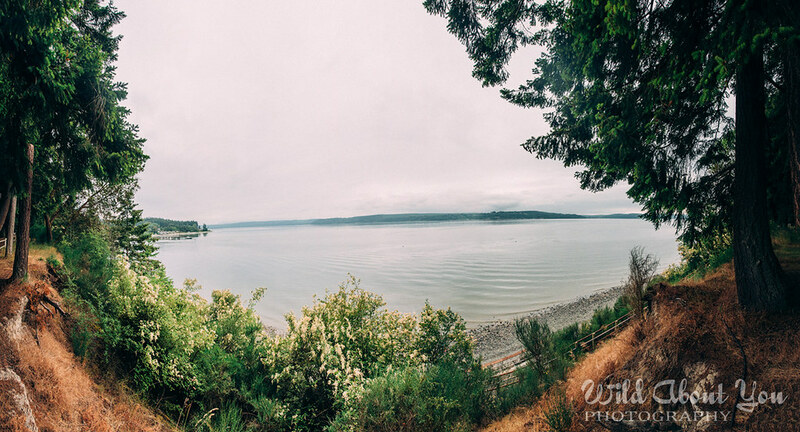 Last month, we joined them at Kitsap Memorial State Park, just a ferry ride away from Seattle, for their rustic wedding in the woods. 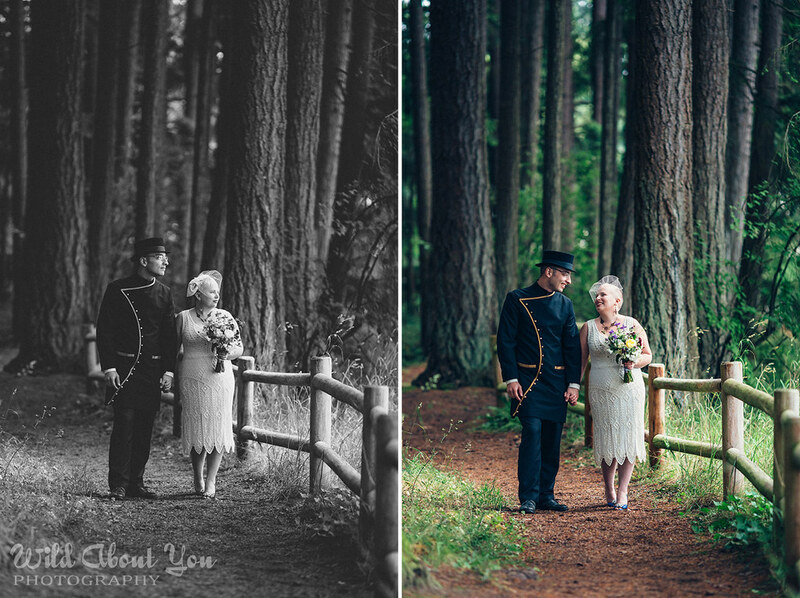 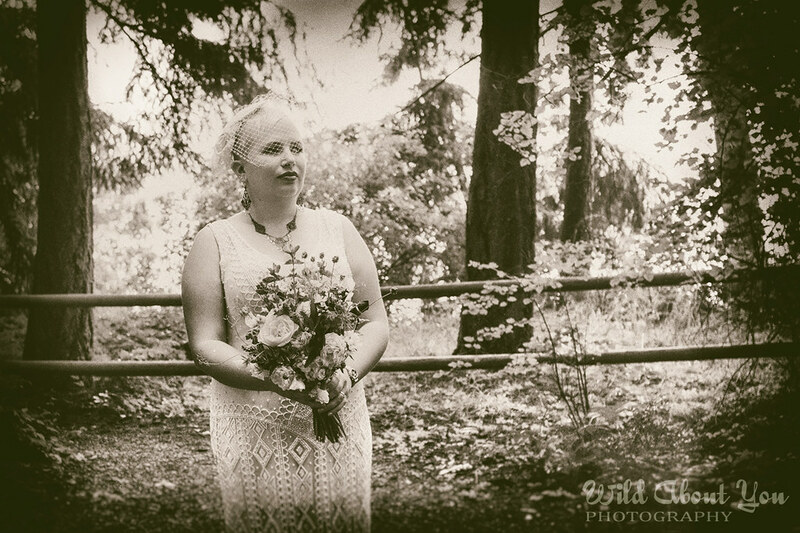 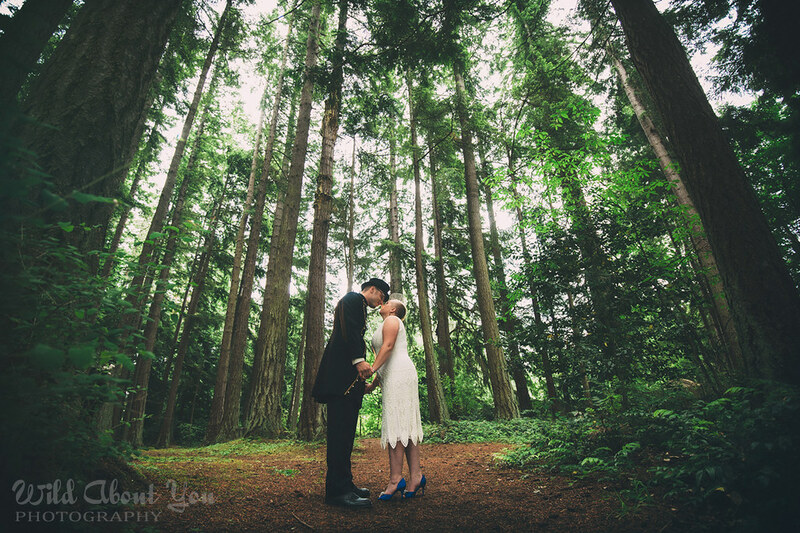 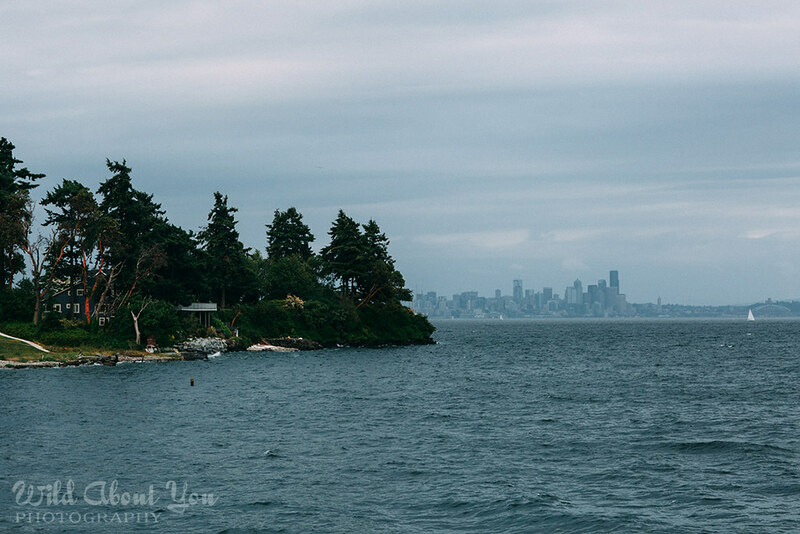 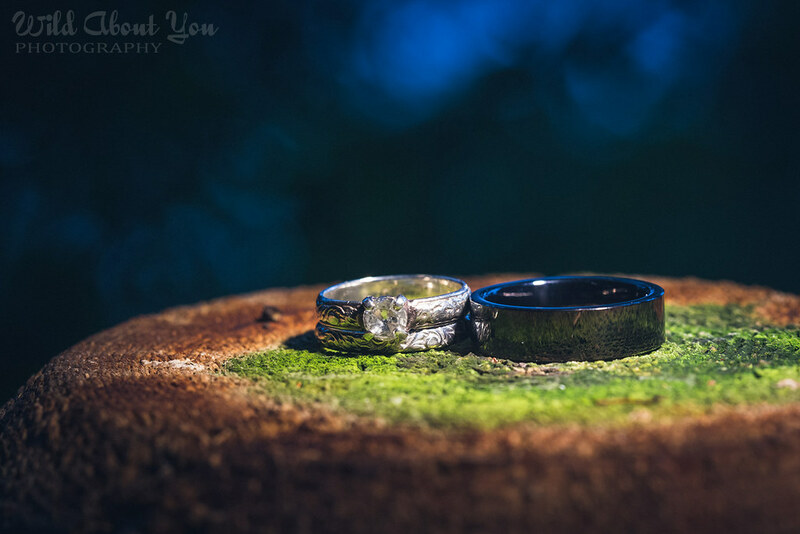 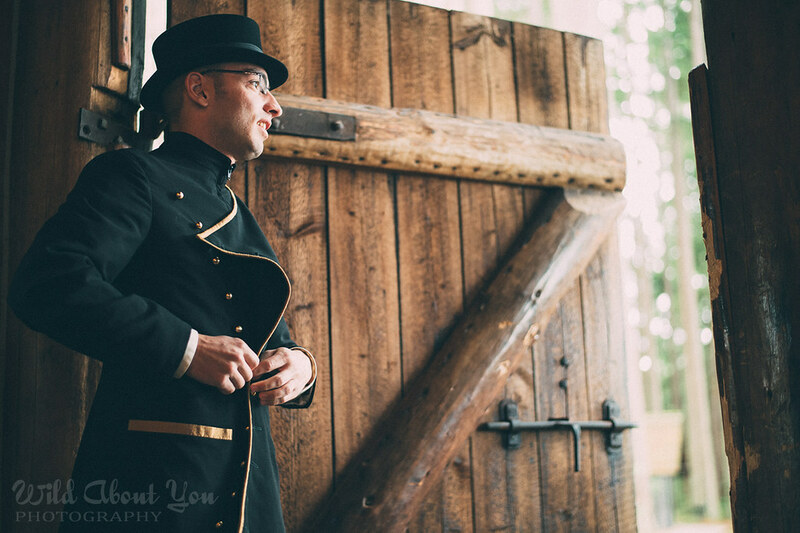 Surrounded by lush, towering trees, forest weddings can’t help but be majestic, but the views of serene Puget Sound (among other things) made theirs extra special. 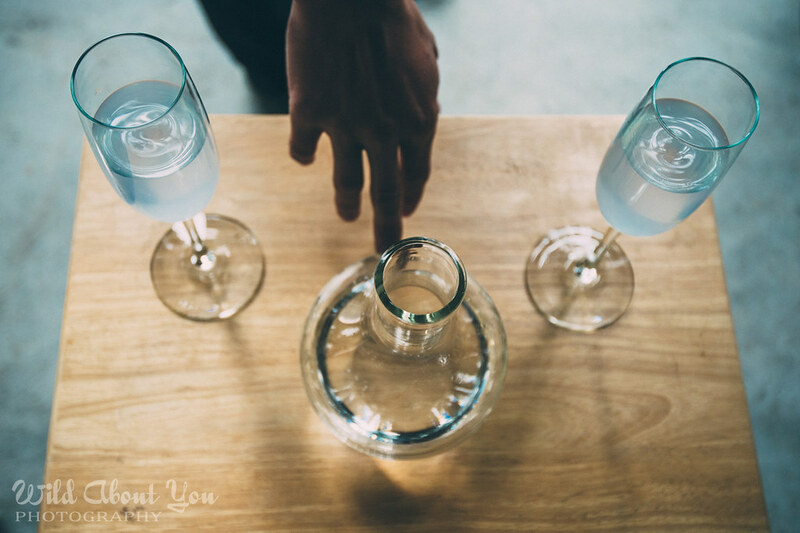 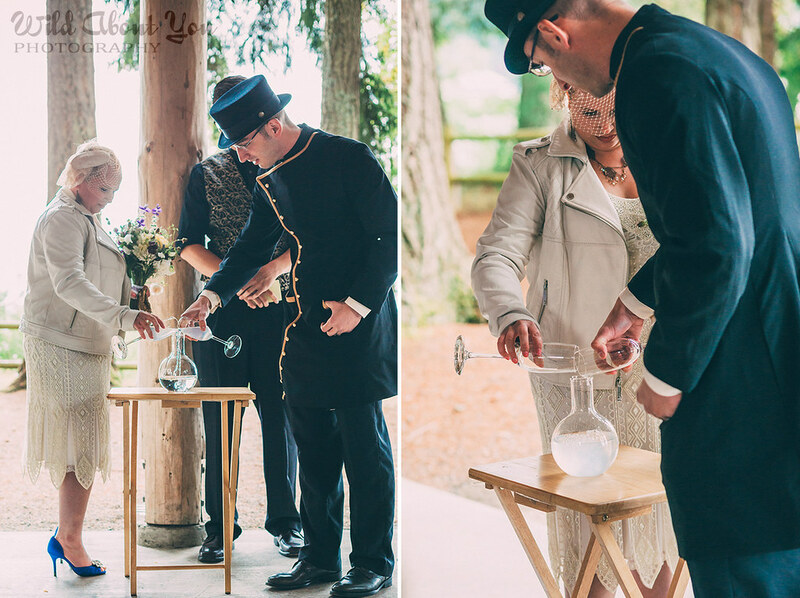 The heartfelt ceremony was filled with many fun surprises, including a pinky swear and a chemistry-based unity ceremony, wherein they each poured a clear liquid into a Florence flask and, after a few minutes, the flask contents turned black. 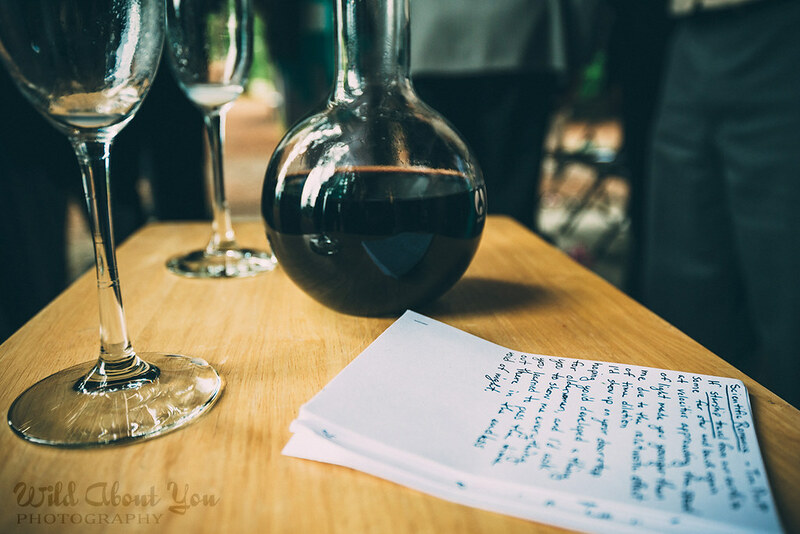 Erin Sara and Lucian’s glorious readings evoked much laughter and gasping (Erin Sara read Tim Pratt’s “Scientific Romance”; Lucian read Frank O’Hara’s “Having a Coke with You”) and were so them they could’ve past them off as their own writings. 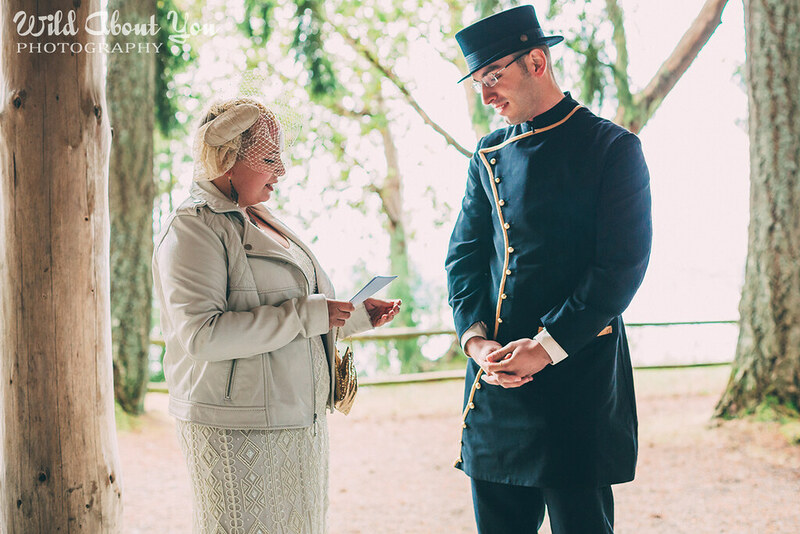 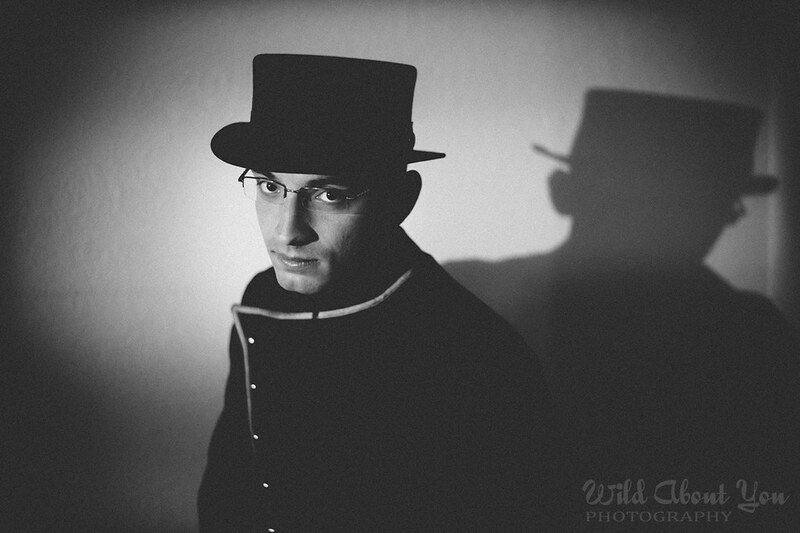 Their friend and officiant Adam read “The Pole Star” from The Book of Lies by Aleister Crowley. 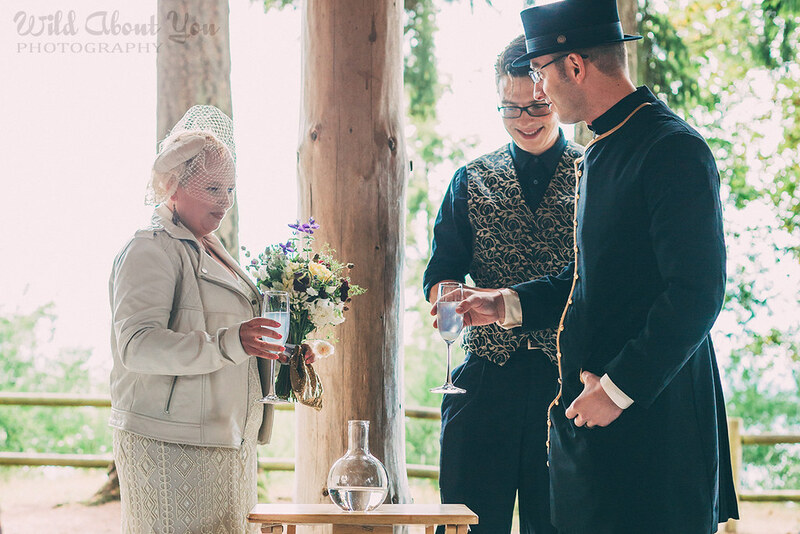 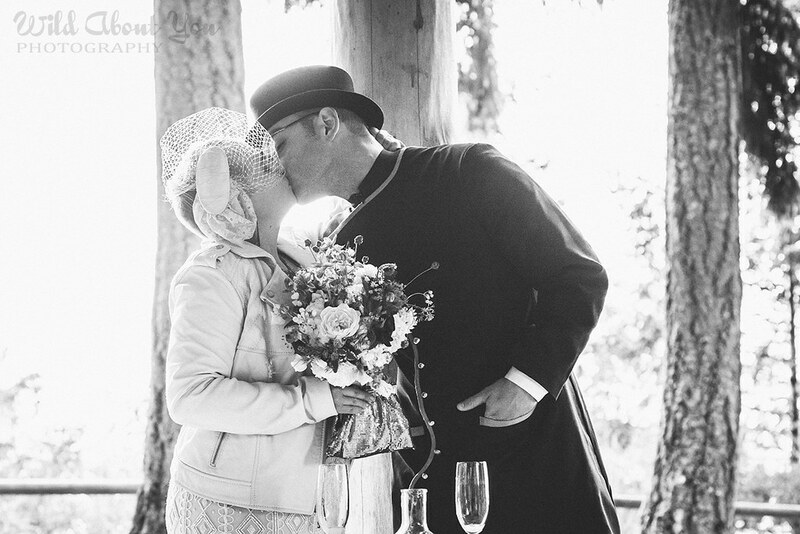 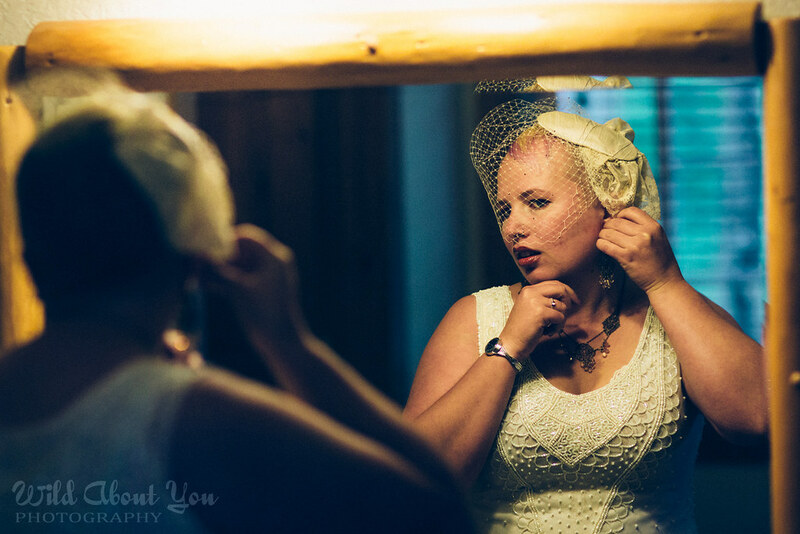 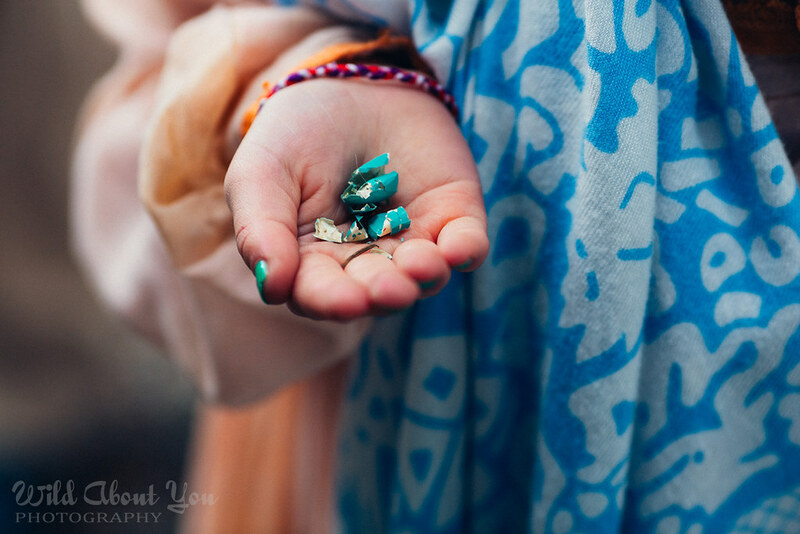 We adored Erin Sara’s off-white 1920s-style dress with intricate beadwork, pulled together with her handiwork (classic birdcage veil, necklace, earrings) and sparkly blue shoes, as well as Lucian’s custom-made wool coat paired with a top hat. 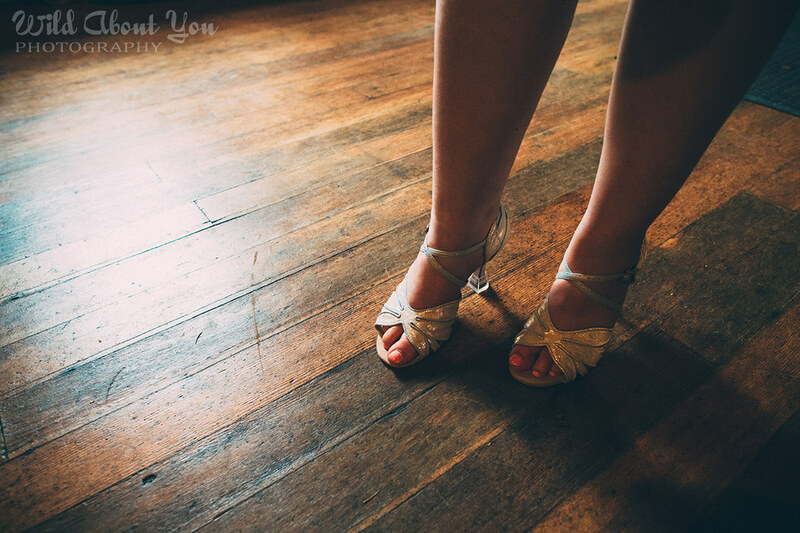 For the reception, Erin Sara changed into a dance-ready number (and howling wolf earrings!) 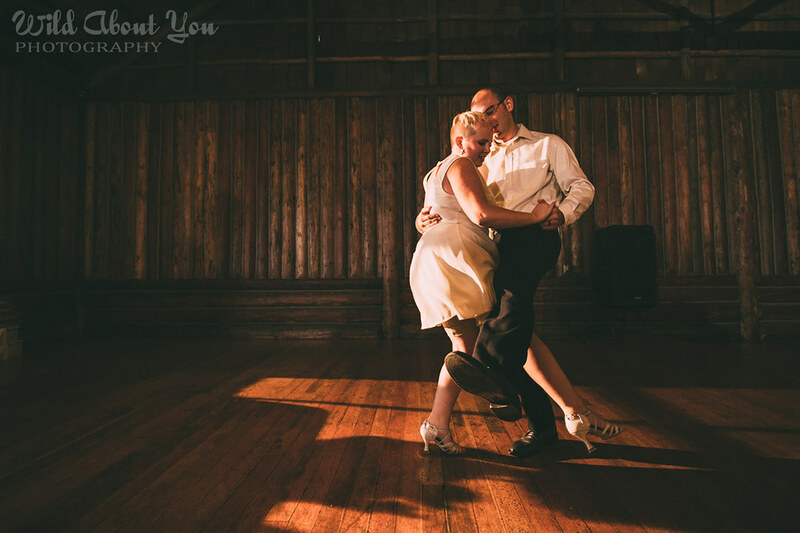 for their swinging first dance. 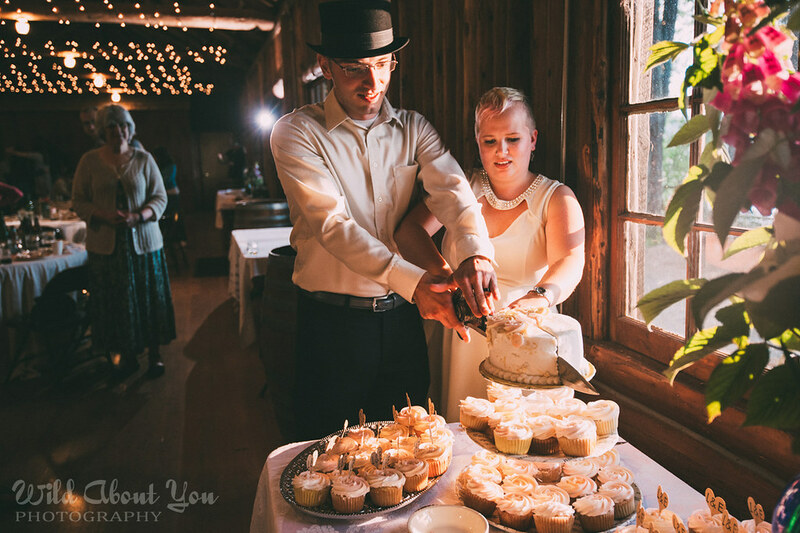 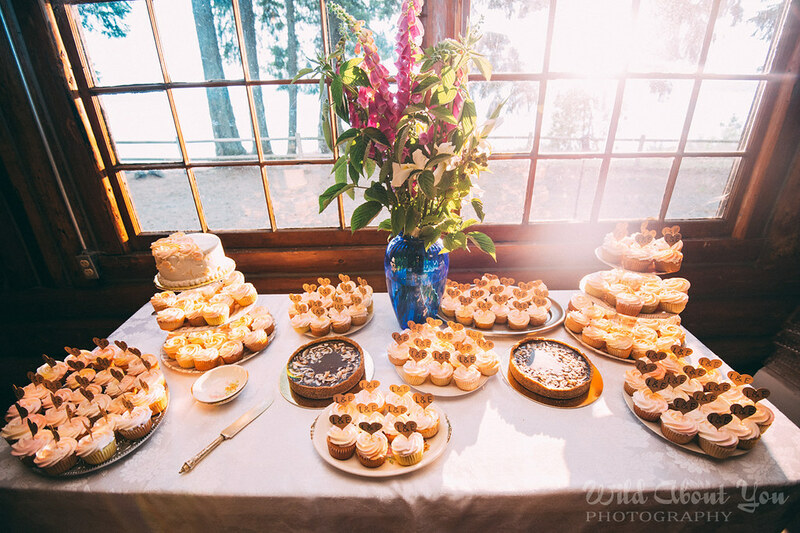 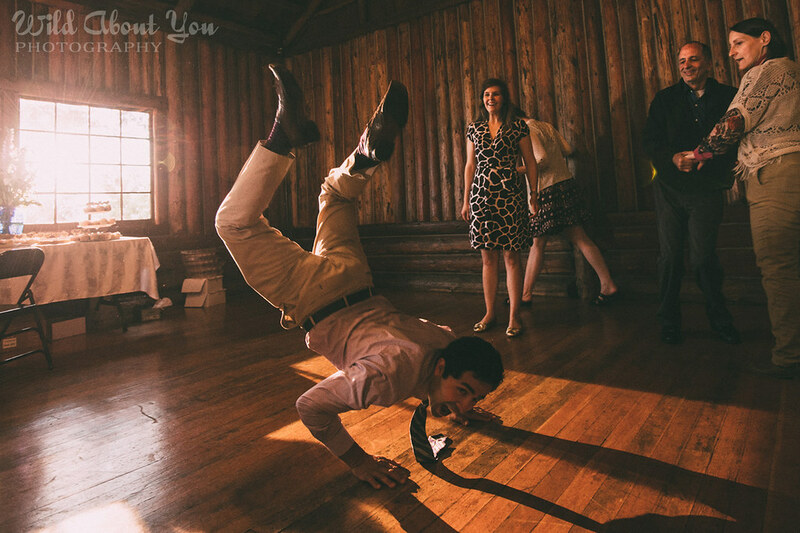 The reception took place in a log cabin strung with fairy lights, and many dear family and friends came together to provide the music, food, cake, and flowers. 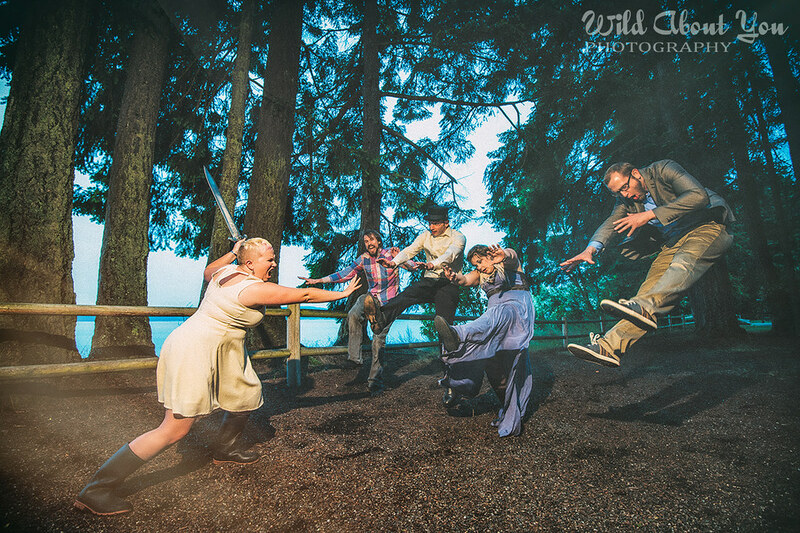 Remember the hefty sword Lucian used to ward off vampires during their engagement session? 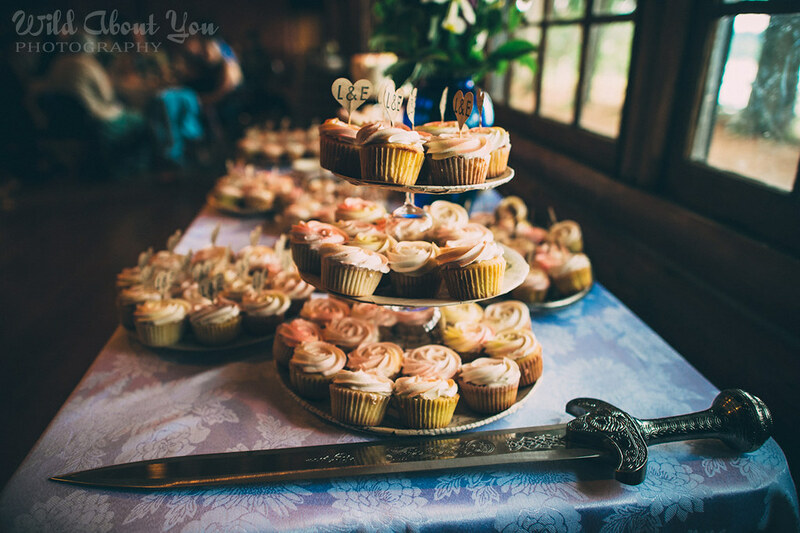 It was put to good use when it came time to cut their delicious (gluten-free!) 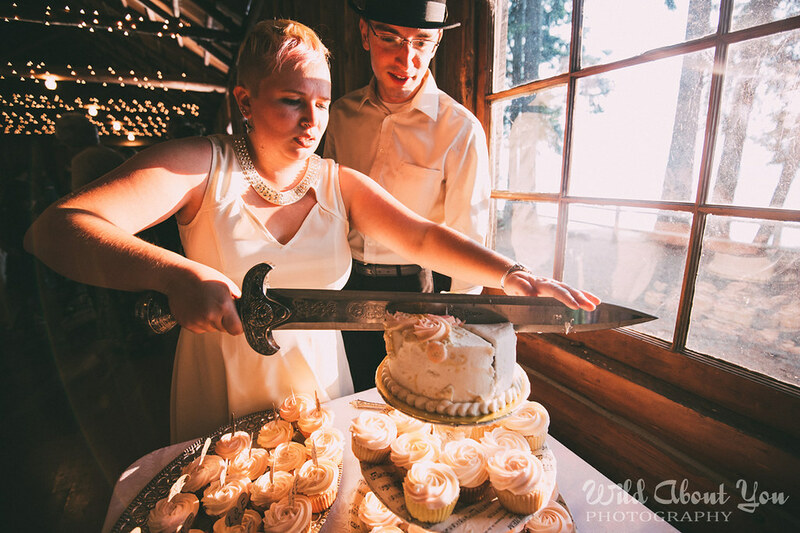 cake, and proved that the sword is indeed mightier than the cake knife. 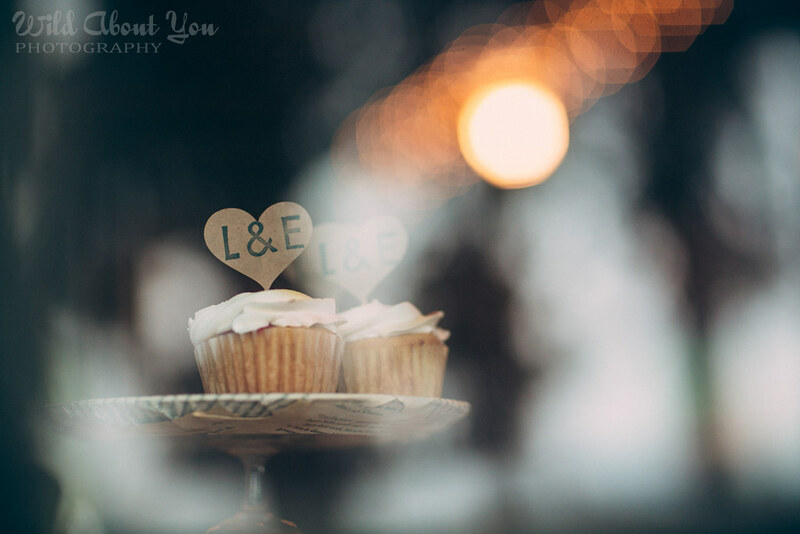 Towards the end of the night (although it still looked like day! 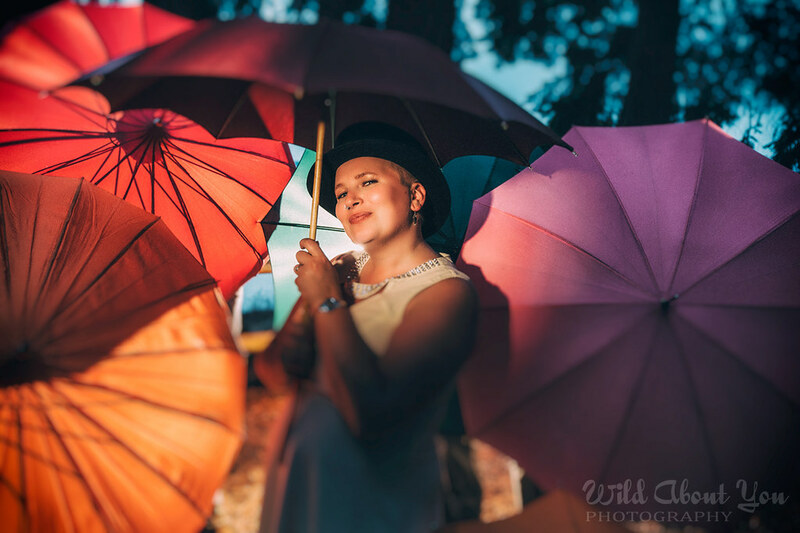 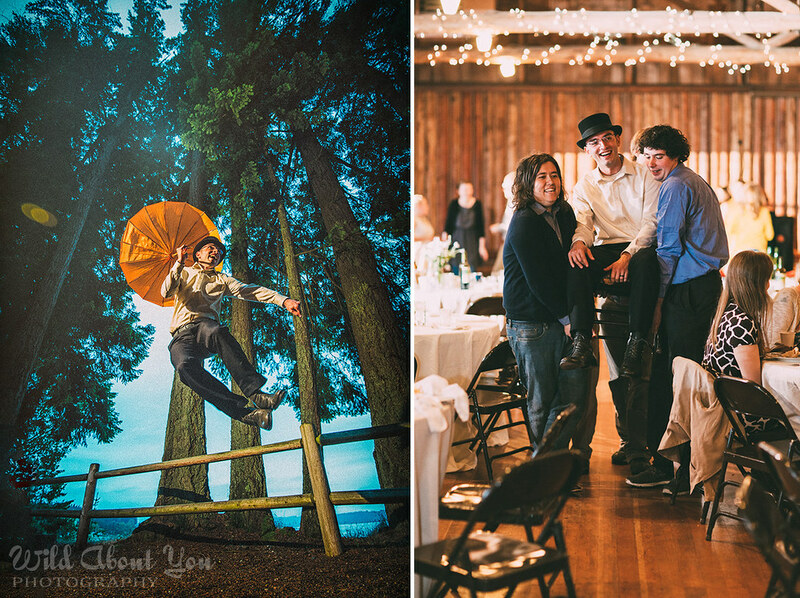 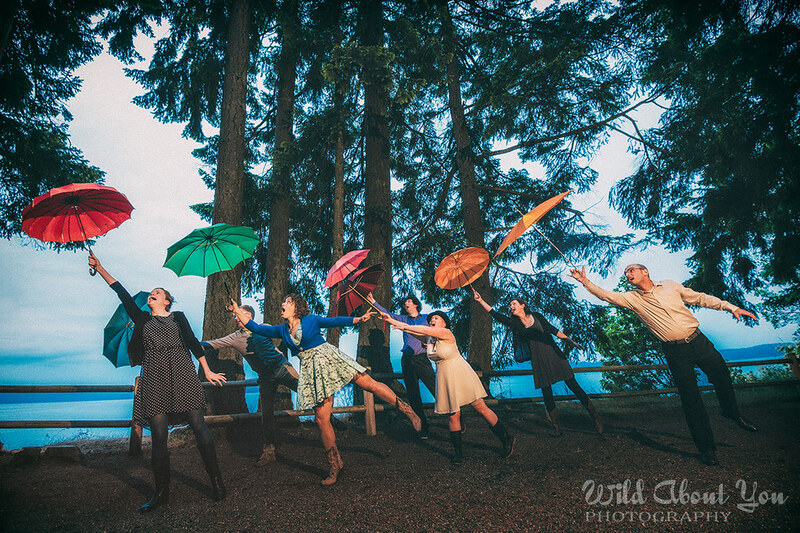 ), Erin Sara and Lucian broke out the parasols they had rented in case it rained and had a blast with their guests. 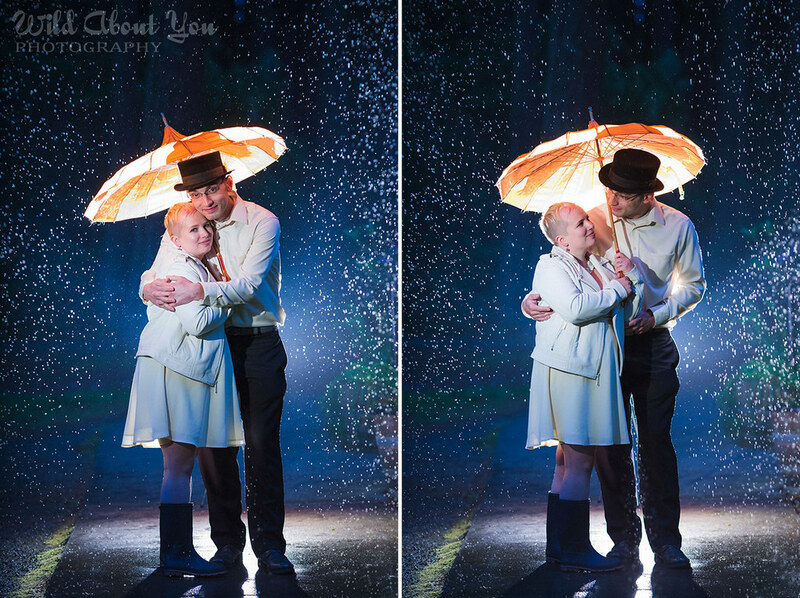 Ironically, shortly after the wedding was over, it started to sprinkle and we were thrilled (hello, magical portraits in the rain!). 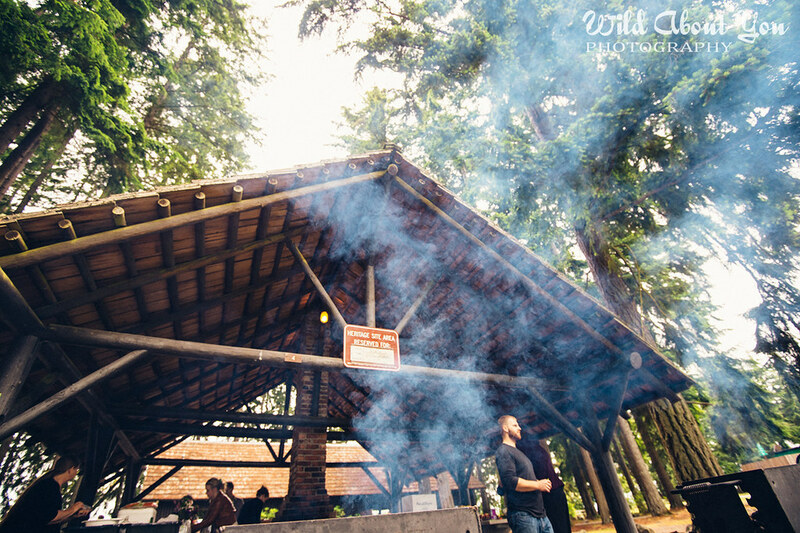 The next day, we met our newlyweds at Seattle’s Woodland Park Zoo for some post-wedding shenanigans—check back soon for that post! 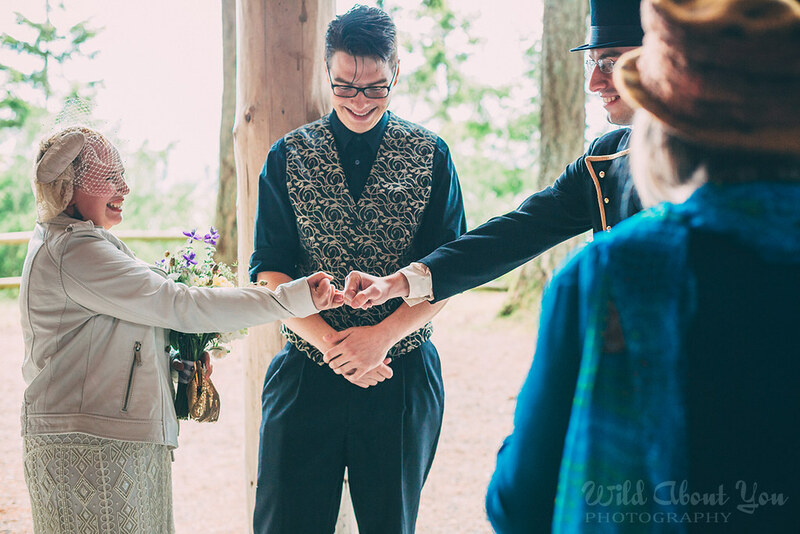 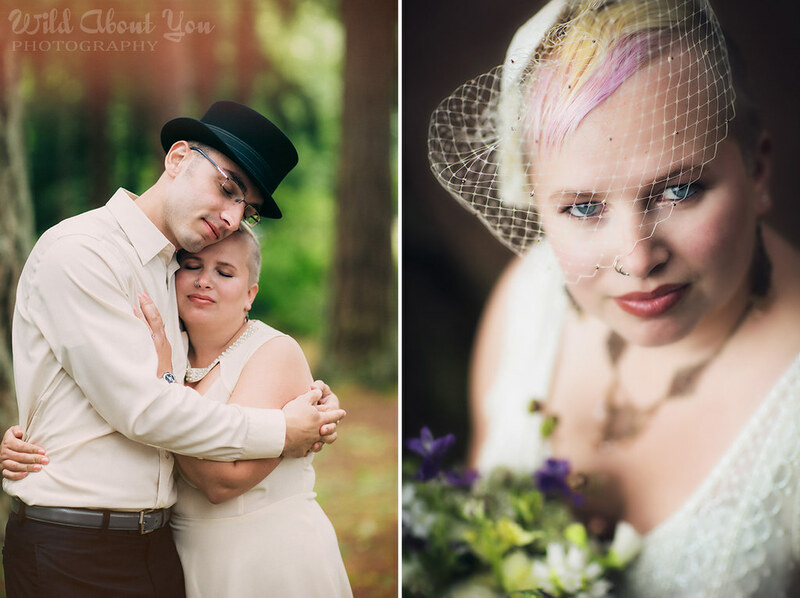 In the meantime, here are some of our favorite moments from their special day.